Love beer? You’re in good company! Just as the title says, this is a collection of some of the best quotes about beer from some of the best and brightest minds the world has ever known, with the odd idiot thrown in for good measure (Arnold Schwarzenegger being one obvious example). “A herd of buffalo can only move as fast as the slowest buffalo. And when the herd is hunted, it is the slowest and weakest ones at the back that are killed first. This natural selection is good for the herd as a whole, because the general speed and health of the whole group keeps improving by the regular killing of the weakest members. In much the same way, the human brain can only operate as fast as the slowest brain cells. Excessive intake of alcohol, as we know, kills brain cells. But naturally, it attacks the slowest and weakest brain cells first. In this way, regular consumption of beer eliminates the weaker brain cells, making the brain a faster and more efficient machine. 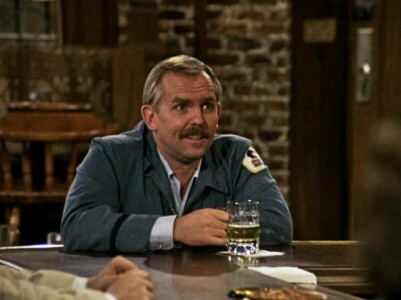 That’s why you always feel smarter after a few beers” – legendary barfly Cliff Clavin from Cheers might be a genius. Then again, he could’ve just had a few too many beers.